U.S. criminal charges against Chinese electronics giant Huawei have sparked a fresh round of trans-Pacific recriminations, with Beijing demanding Tuesday that Washington back off what it called an "unreasonable crackdown” on the maker of smartphones and telecom gear. China’s foreign ministry said it would defend the "lawful rights and interests of Chinese companies” but gave no details. Huawei is the No. 2 smartphone maker and an essential player in global communications networks. The allegations mark a new phase in the dispute between the two countries over global technological dominance. 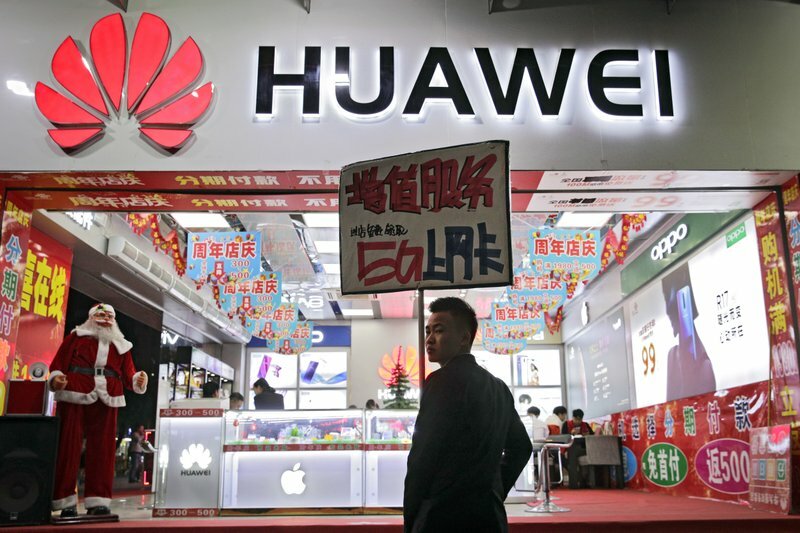 The U.S. has reportedly waged a campaign to discourage other nations from using Huawei telecommunications equipment for next-generation "5G” wireless networks, based on concerns that the Huawei gear might compromise national security. "China’s pursuit of intellectual property, sensitive research and development plans ... remain a significant threat to the United States government and the private sector,” Director of National Intelligence Daniel Coats told the Senate Intelligence Committee. A 10-count indictment in Seattle centers on a T-Mobile phone-testing robot dubbed "Tappy.” The robot, developed in 2006, helped spot problems in phones before they hit the market by mimicking how people actually use them. Trump and his Chinese counterpart, Xi Jinping, agreed December 1 to put off further sanctions against each other’s exports while they negotiated a new trade pact. If they don’t reach an agreement by March 1, U.S. tariffs on US$200 billion of Chinese products are set to rise from 10 percent to 25 percent. That prospect has rattled financial markets for months.